Kirkwood Roofing is a residential and commercial roofing contractor providing expert and affordable roofing solutions in the greater Chesterfield area. We guarantee homeowners, businesses, and contractors alike that we will provide quality workmanship, and hands-on customer service. We are committed to honest evaluations and workmanship so you receive the integrity you expect from dedicated professionals. When age, weather, and algae attack the roof on your home or business, we're your first line of defense and your roof specialists. Sagging roof decks and rafters may be common (and not a problem) on older homes, but it often is a sign of poor ventilation. This means that even if a new roof is installed without correcting the ventilation problems, the new roof won't last as long as it should and might develop condensation and mold in the attic. Nobody knows roofs and gutters in St. Louis like Kirkwood Roofing. We offer only the best materials with the most options for color and style. When replacing an old roof, or building a new roof, installing gutters and leaf guards, we take the time to meet with you and work out every detail so your roof work not only meets but exceeds your expectations. We offer great workmanship warranties as well as provide materials with the best manufacturer's warranties in the industry. We want your roof and gutters to last for the long haul. If your roof has the unsightly problem with algae, Kirkwood Roofing has the answer. Using our excellent and proven system, we can gently eradicate the algae, apply water-based algae retardant, and seal the shingles to keep your roof free from staining again. Our process softly washes the shingles rather than subjecting them to a harsh, damaging power wash. There is no power washing involved with our roof protection. It is a water-based solution applied by spraying the roof at a very low pressures. 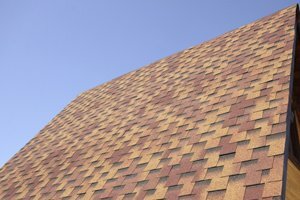 Once treated, you'll be amazed at how beautiful your roof can be again. Don't let algae destroy your roof before it's normal life is over! Our goal is to make the roof replacement process as hassle-free and pleasant as possible for you. We start with an inspection of your roof and a free estimate. If your project is covered by your homeowner's insurance, we work with your adjuster to ensure we are all on the same page and that you will receive the quality roof installation you deserve. We'll help you choose the perfect replacement materials with the brands we trust and lifetime manufacturer's warranties. We also guarantee our workmanship. Because we treat your property as if it were our own, our crew will protect your landscaping, decks, driveways and walls during the tear-off and installation. They'll work fast and with professional efficiency to complete the new roof as quickly as possible. Once the work is complete, the crew will clean up well and leave your property free from debris. When finished, we'll perform a final walk-through with you to make sure your every question or concern has been addressed to your complete satisfaction. From single-family homes and large apartment complexes to commercial businesses, Kirkwood Roofing can handle all your roofing needs. If you require repair service or you're unsure whether it's time for a roof replacement or not, give us a call - we provide quality roofing inspections. 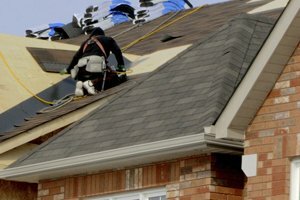 We'll give you an honest assessment of your roof's condition. If it's in good shape, we'll say so. If it hasn't reached the end of its service life yet but could use some maintenance work, we'll let you know that, too. Contact us today for your free estimate in the Chesterfield area!